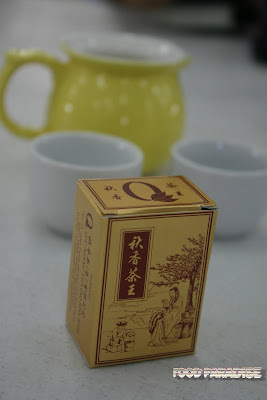 Since my previous posts did not finished introduced the foods offer by Kheng Pin Cafe, I decided to blog part II. After several visits, finally I have some photos to blog about it. This is one of the places that I will usually bring my visitors for breakfast. As I found that all the foods served in this cafe are very delicious. And I am glad that all of my visitors that been to this cafe is giving a "tumb up" for the foods that they had. Usually I will ordered everything each for my visitors to try. 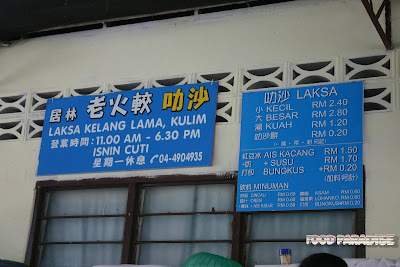 That way they have all the combination and be able to taste all sort of stuff offered by this lor bak stall. 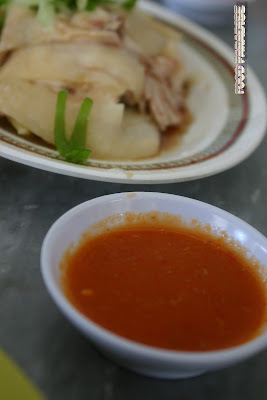 If you want more photos about this lor bak, pop over to my last post. 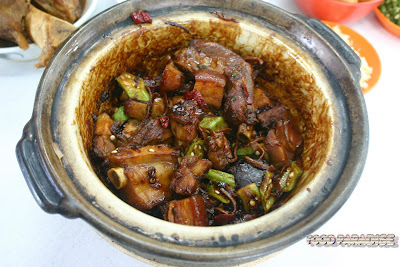 I love the CKT there as love the wok hei and aroma. If you prefer the CKT to be dry rather than wet, then please give this stall a try. I am sure you will like it. I am not sure why, I fall in love with the porridge stall too after the first attempt of trying their century egg porridge. This time round, I try out their fresh fish porridge. I like the way that they sprinkle the salted egg in small pieces above the porridge. It make the porridge just the right amount of saltiness. This is my second visits to Nippon Yataimura. The first visit is some time last year, which you can have a look from here. Since the last visit, I did not managed to try the desserts so I went back again with my family to try out their other stuff as well. During the visit, hubby is quite full since he got late lunch on that day, so he decided to order different types of sushi to try. I am so concern as he keeps on order the sushi and I am afraid to finish it all up. lol But luckily that he managed to order just the right amount for all of us. There are some wide spread combination in the sushi combo. So each of us have the chance to taste some of them. Even my gal had the chance to tastes the shrimp sushi and she loves it. Hubby and I quite enjoyed this plate of salmon sakura roll. It has a nice combination and lay out. In our last visit, we tried the white tuna sashimi before and we fall in love with it. So this time, we try the sushi. And it tastes nice too. As we like the tenderness of the white tuna and it can melt in your mouth. Maguro are not bad too. After all the dinner, here comes the desserts. We browse through the menu and some of the desserts we would like to try is out of stock. End up we try Anmitsu. Which is green tea ice-cream with some jelly and red beans. As you know my hubby is the great fans of green tea ice-cream. He reckon that it is ok. It is best to go with red beans. As for the jelly, it's a bit hard. Sorry for not posting for the past few weeks and also did not do much of blog hopping lately. Been busy with lot of things came one after the other. But I told myself that I should sort out some time for my "FoOd" blog. 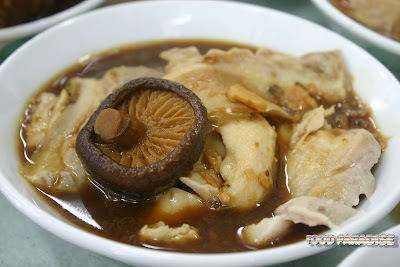 Well, continue from my last posts about our "Kulim Trip" and we ended up in Butterworth for Bak Kut Teh. You must be wondering that we are such a good and big eater for foods ya! lol And you were right! When all the food bloggers came together, we always think of FoOd, FoOd and more FoOd. Jalan Perai Jaya, 13700 Perai, Butterworth, Pulau Pinang. Direction: It is very easily to locate. Get yourself to Megamall and once you passed Megamall, drive further down and you will see PC Depot and turn right. 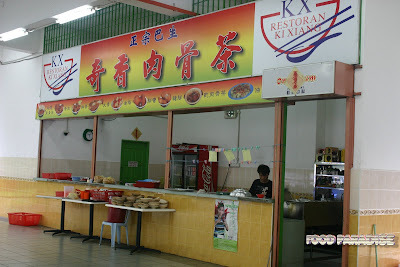 Then keep going towards the end and you will see the sign board of Restoran Ki Xiang in front of you. Still not certain about this place? 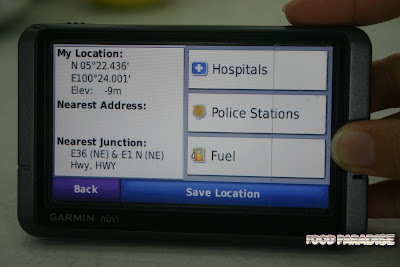 Well, look at the GPS and you will find your way here. 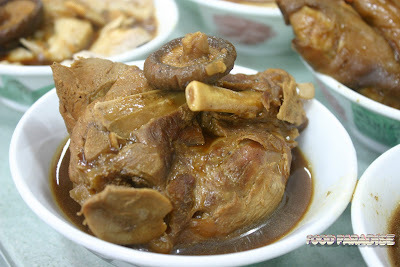 Ahh..... this is the bowl of bak kut teh served in my table. As we had 2 tables. 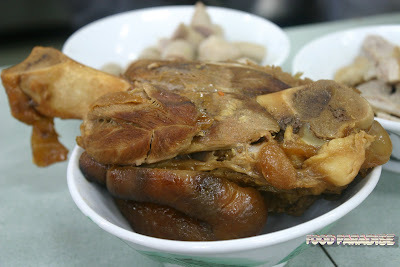 The soup base for this bak kut teh is very thick. 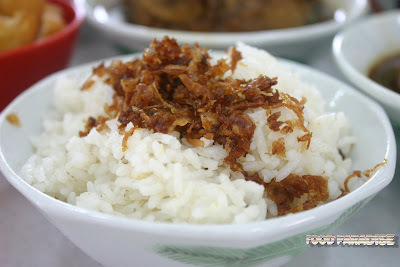 But is different from what I had tasted in Klang in the past. 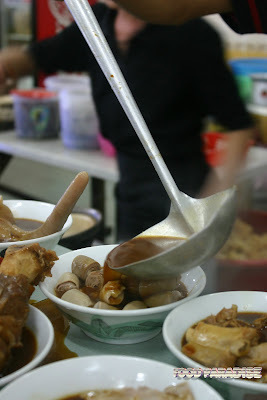 As there are so many different kinds of bak kut teh around Klang and they are different in tastes as well. 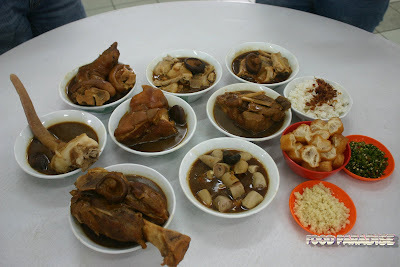 Criz ordered dry bak kut teh for us to try as well. 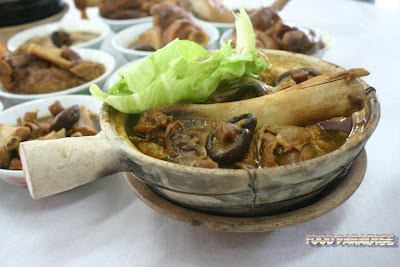 As some people never try the dry bak kut teh before. 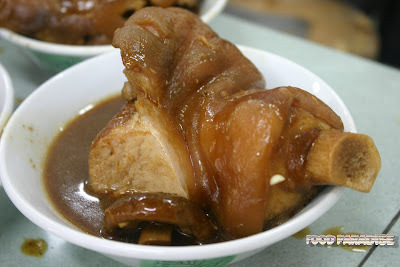 I have try the dry bak kut teh before and I think the dry bak kut teh is quite similar with the one that I had before. Cariso asked the person in charge to add more lady fingers as there are many of us love it very much. Whereas for enoki mushroom which cost RM4. Sorry no photos to show as it was served while we were having the bak kut teh. 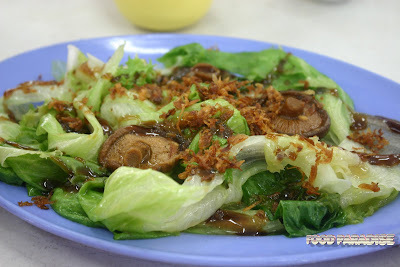 lol As for mushroom, it is FOC. Nice right? The mushroom is very nice too! If you opt for something cold, the Ice Chinese Tea is RM0.50 per glass. 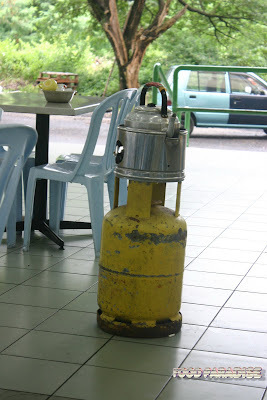 Kettle just on top of the gas cylinder. Easy for refilling of hot water. 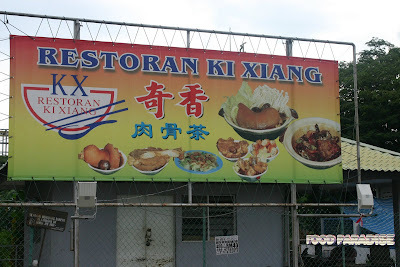 Before I end this post, I would like to thank The Management and Staff of Restoran Ki Xiang for giving us the opportunity to do the review. 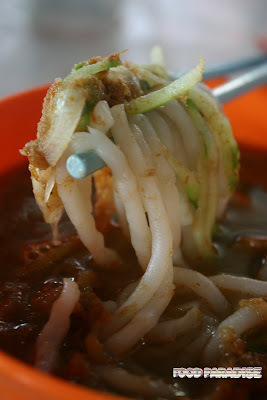 Laksa Kelang Lama, Kulim, Kedah. 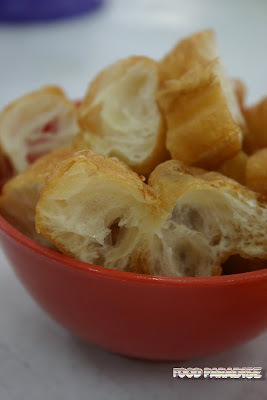 Few days before the review of Noodle Station, a bunch of bloggers already suggested a makan trip after the review. 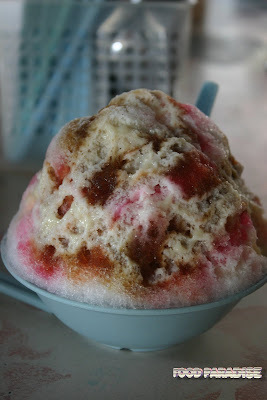 There are many suggestion such as Lunas Duck, Pan Mee, Curry Mee, Chai Kuih, Laksa and Ais Kacang. But after the review, we found that the Lunas Duck already closed. So they decided to go for laksa and ais kacang. While reaching at the laksa place we noticed that the chai kuih stall was closed. 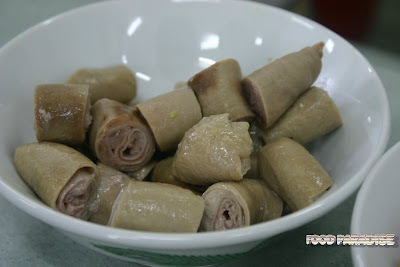 Heard many comments that the chai kuih are nice. But will try that out next time. 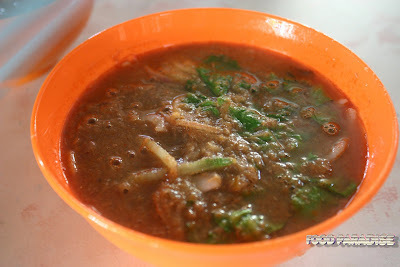 The price of small laksa is RM 2.40 and big one for RM2.80. And if you want only the soup, which cost RM1.20. 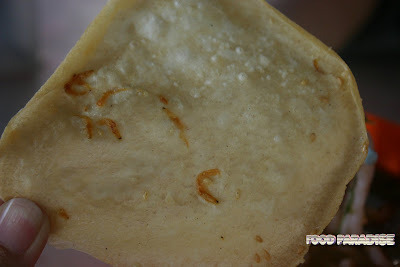 Would you like to have some crackers to go with the laksa. This is one of the specialty here. And I quite enjoying the cracker. lol Each piece of cracker cost RM0.20. 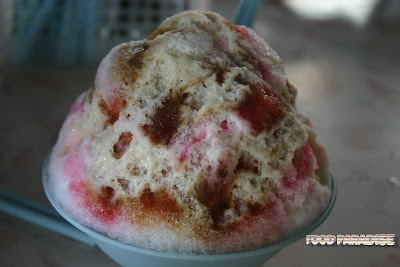 This shop ais kacang is strongly recommend by Allen and Allie. Both A's love it very much. And I agree with them though as you hardly get super fine ice shave. And with the combination of all the ingredients and also top with syrup and condense milk. 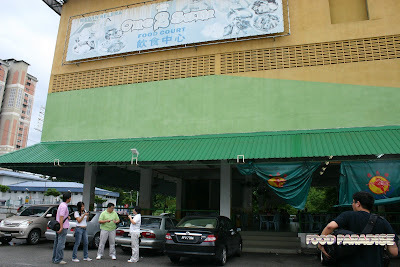 Give it a try next time when you are in Kulim.